The Brightlingsea One Design may have been launched in 1928 but that doesn’t mean that the boats are old fashioned. Indeed the design is a true classic and gives fantastic racing for crews across a wide range of ages and abilities. Alongside the long standing fleet members we have several very successful young teams racing regularly including some of the UK’s top university match and team racing sailors. It’s also always been an equal opportunity fleet with plenty of lady helms, crews and all girl teams over the years. The fleet includes a number of very successful sailors including Olympians and World Champions, as well as lots of club sailors and typical “weekend warriors”. They are a diverse bunch, but the one thing they all have in common is their desire for the fleet to be inclusive and welcoming, and any newcomers in the boat park are rapidly welcomed into the fold and offered any help or assistance they might like. The main body of the fleet is based in Brightlingsea, Essex – a delightfully unspoilt fishing town and one of the east coast’s best kept secrets! Some of the fleet are kept on swinging moorings in Brightlingsea Harbour and others dry sail from the Brightlingsea Boat Park & Ride. 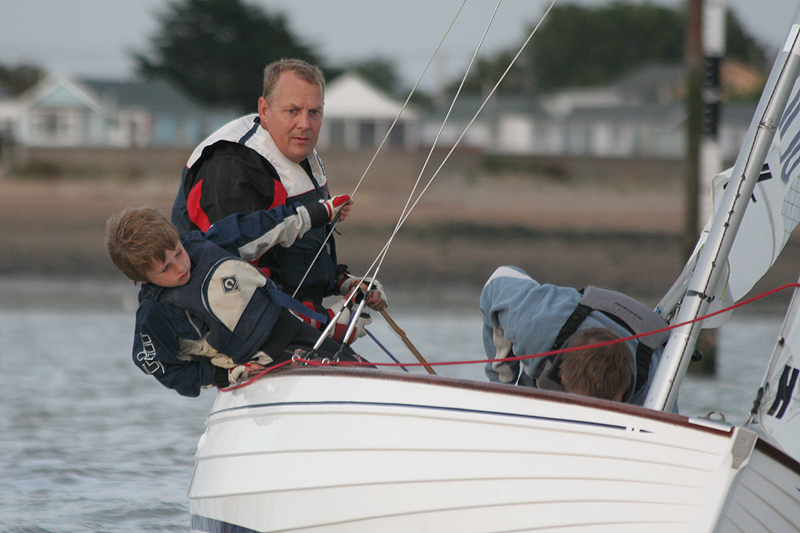 Racing is run for the fleet by Brightlingsea Sailing Club and the Colne Yacht Club with both clubs playing an important role in encouraging and developing the fleet. The BOD has a generous rig for the style of boat, which makes her exciting on a breezy day and great in light airs. She is extremely manoeuvrable, points well and is more than capable of surfing downwind in the right conditions. They make a great platform for sailing with family and friends (especially as they can be easily reefed) but also provide all the excitement and challenge a serious racing crew of three could want. With over 20 boats now racing in our big events the start line is crowded and the adrenalin is most definitely flowing at every mark rounding. The majority of the boats are of traditional wooden clinker construction and in recent years a major restoration programme has been undertaken which has seen a significant number fully restored. As a result, not only are they in excellent condition, but they also require much less maintenance than a traditional wooden boat. 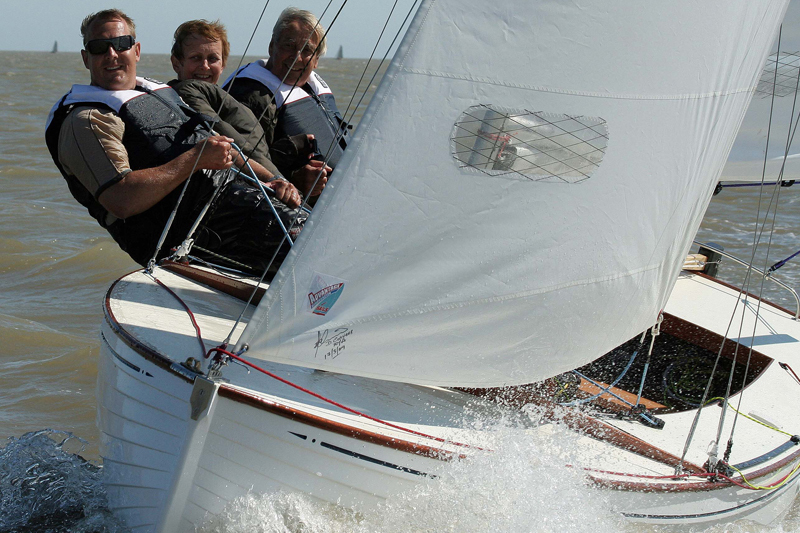 For those who love a project several “as original” boats are currently available for refit. 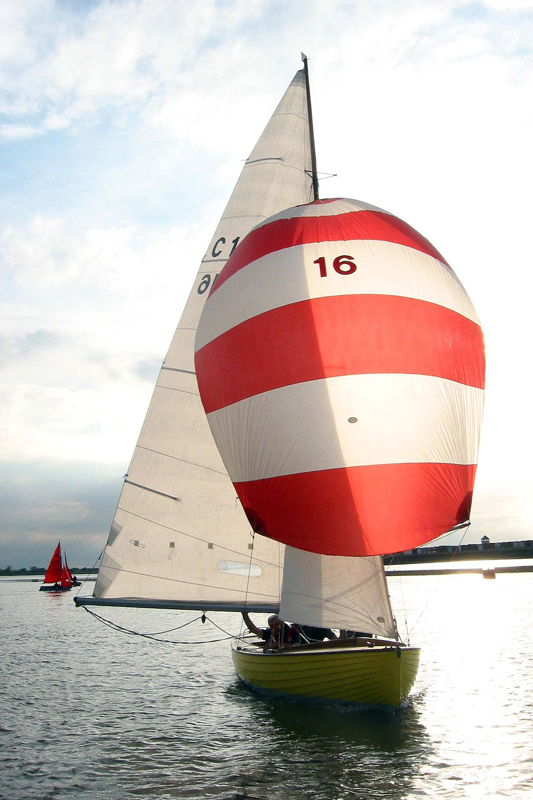 The other major development in recent years has been the introduction of glass fibre BODs which have been carefully developed to ensure their characteristics and performance match the wooden boats so that the racing remains truly one design. Owning a BOD needn’t be expensive, especially if you are someone who enjoys doing your own maintenance. Click here for a list of boats currently available second hand and to find out more about having a new BOD built please contact White Formula.